Saturday 7th:Connacht J1B League:Castlebar vs Corinthians, in Galway, Kick-off 8:30pmU16 A League:Castlebar vs Claremorris, in Castlebar, Kick-off 2:30pmU13 A League:Castlebar vs Claremorris, in Castlebar, Kick-off 1:30pmSunday 8th:U18.5 A League:Castlebar vs NUIG, in Dangan, Kick-off 1pmAll support for these games is greatly appreciated!! Parents in sport week. Silent Sidelines is the key message. Parents and coaches are not to shout/instruct/engage with players once the match starts, only clap/applause for good play. coaches should coach during training sessions, parents support their child by being the best role model they can be and young players ‘play’ on a matchday, rather than receive another coaching session from the sidelines. Unfortunately due to a technical issue we were unable to do our 50/50 lotto draw last Friday night, it will be done this Friday night so keep an eye on this page for the winner!What we did get to do was present the man of the match awards for our first 4 competitive matches this season, they are as follows:Castlebar vs Connemara 2nd of September:Man of the Match: Conor TuohySponsored by FibrepulseWestport vs Castlebar, 9th of September:Man of the Match: Mark StauntonSponsored by Mayo Motor Parts..
Congrats to the Castlebar Ladies Rugby Team! Sunday 1st October:Women's Invitational Cup Final:Castlebar Ladies vs Buccaneers, in Athlone, Kick-off 1pmAll support for this game is greatly appreciated!Also our monthly 50/50 lotto takes place tonight in Johnny Mc Hales from 10pm onwards, so keep an eye our for our mens team who will be selling tickets! Guaranteed winner on the night! Castlebar 15, Creggs 5Massive win on the road for the men’s team with tries from Mark Staunton and Conor Tuohy with kicking from Ronan Conway! 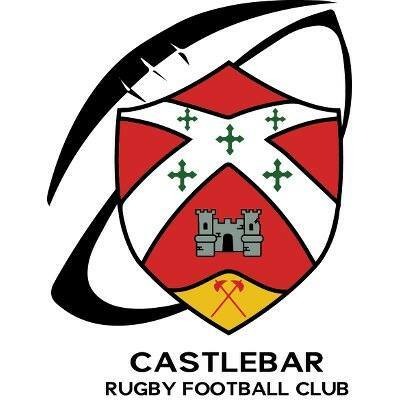 !One fixture to look forward tomorrow;U13’sCastlebar vs Buccaneers, in Castlebar, kickoff 1pm! !A big thanks to all support that attended tonight’s match. Saturday 23rd;Connacht Junior League 1B;Castlebar vs Creggs, in Creggs, kick-off 8pmAll supports for the men's second league game of the season is greatly appreciated!